PPEC is proud to offer 99.9% Sodium Carbonate powder at best online prices. Sodium Carbonate also known as Soda Ash, washing soda or soda crystals is a sodium salt of carbonic acid and occurs naturally in the burnt ashes if many plants. 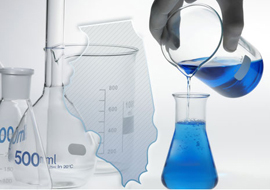 it is a strong alkali and forms a strong alkali solution when dissolved in water, this makes it very useful in industry and is used for many industrial processes today. 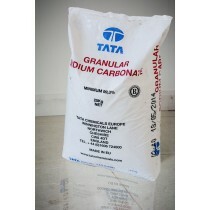 At PPEC LTD, we provide great discount on bulk and wholesaler sodium carbonate orders. Sodium Carbonate is a cost effective method of water softening by preventing heavy metals from binding to it. Commonly used in laundry as it competes with the magnesium and calcium ions in hard water, saving the need for extra detergent. Also known as washing soda, soda crystals, or sal soda in the detergent section of the stores it effectively removes oil, grease and alcohol stains. There are many ways in which Sodium Carbonate can be used to assist with cleaning. Make a 50/50 paste with water and wipe any scuffs from your painted walls. Sprinkle onto your tile grout, spray with water and leave for ten minutes, clean using a toothbrush and wipe away any excess powder and your grout will look as good as new. At PPEC LTD we do not sell to customers we know, believe or suspect to be involved in illegal activity, including but not limited to illegal drug supply, illegal drug manufacture, the cutting or mixing of products containing illegal drugs and/or money laundering. We do not sell any product for use as a medicine or health product as regulated by the MHRA and/or EMA or a food product as regulated by the FSA. PPEC LTD products are not for human or animal consumption. We reserve the right to refuse to sell any product to any customer if we are not satisfied as to the lawfulness of the product’s end use. PPEC LTD offers no warranty regarding the fitness of any product for a particular purpose and shall not be responsible for any loss or damage whatsoever arising therefrom. PPEC LTD keeps detailed records of every sale and those records will be retained for inspection.